Can you guess what the Victorian Bath House used to be? Those quirky Victorians have a lot to answer for. 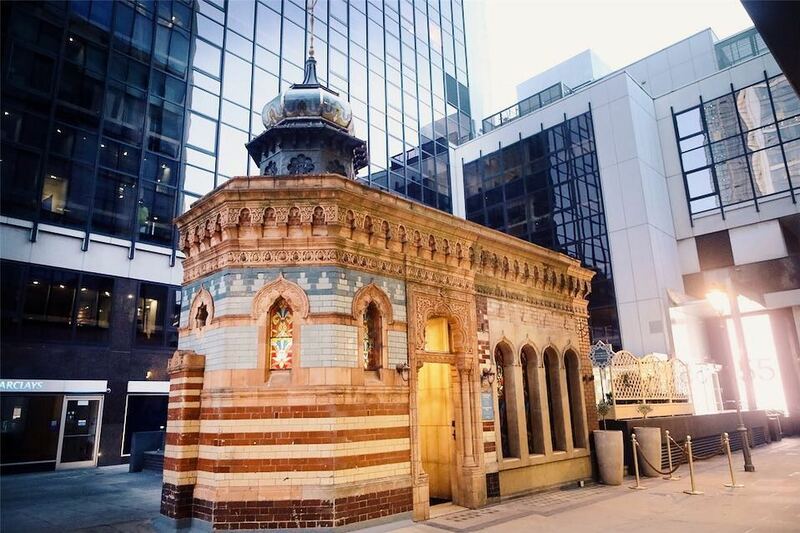 They left London full of elegant, ornate, and sometimes downright bizarre structures, and modern-day Londoners have taken them to even more unusual places. Witness the Victorian Bath House; in a former life, it was the spot du jour for a relaxing soak. Now, you’re more likely to find the water of life than bathwater here, as the space has been reimagined as a rather upmarket evening spot and cocktail bar. Even judging by the standards of a) the Victorians and b) the City of London, the Victorian Bath House is a gaudy spot. 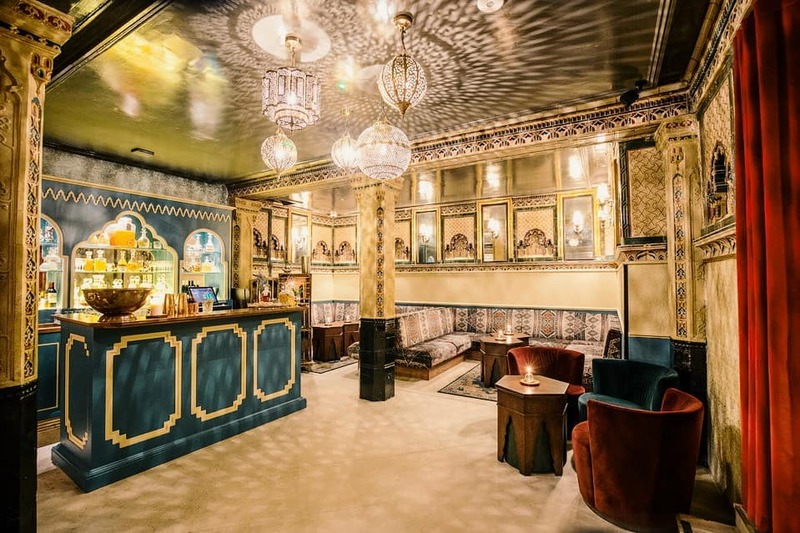 Originally built in 1895, the grand vision of architect G. Harold Elphick was of a Turkish bath house, filled with Arabic motifs and outlandish tiles. Once the playground of City gentlemen, the bath house’s fortunes foundered after the war, when austerity measures made the cost of running it untenable. A sad situation, especially for a spot that survived the Blitz. Fast-forward to this century, and a restoration project undertaken by Russell Sage Studios has restored the bath house to its former glory. 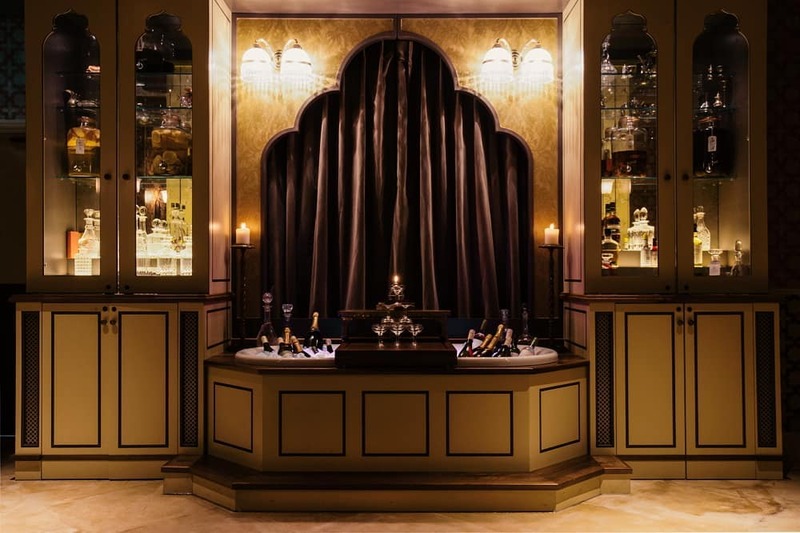 The delightfully OTT decor is married to some rather envious features; an old bath has been repurposed as a champagne cooler, and we’re understandably pretty jealous. 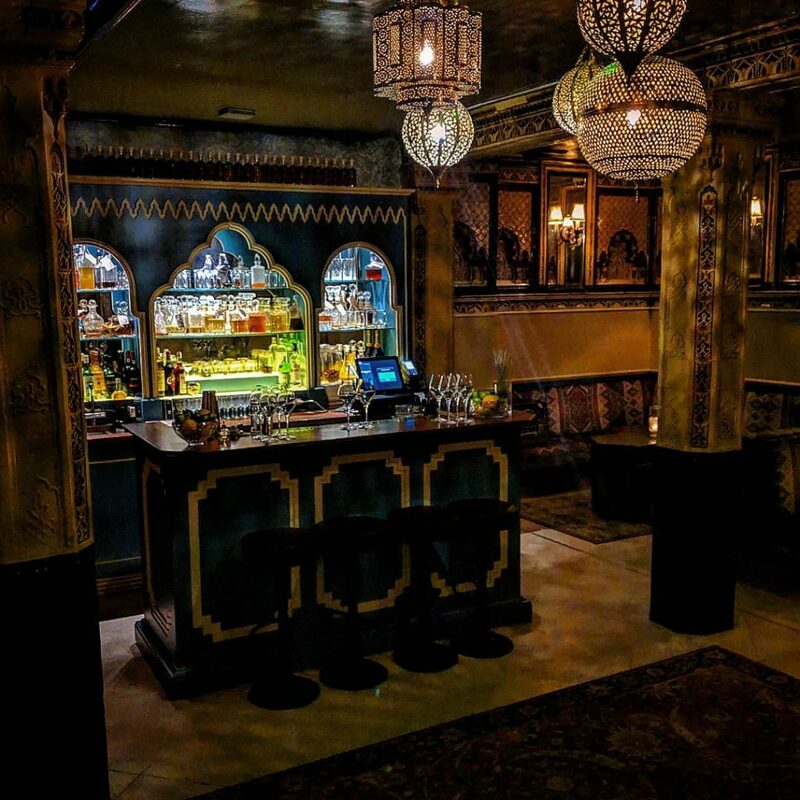 Amongst the ornate alcoves and low lighting, you’ll find the drinks to be equally high-falutin’. 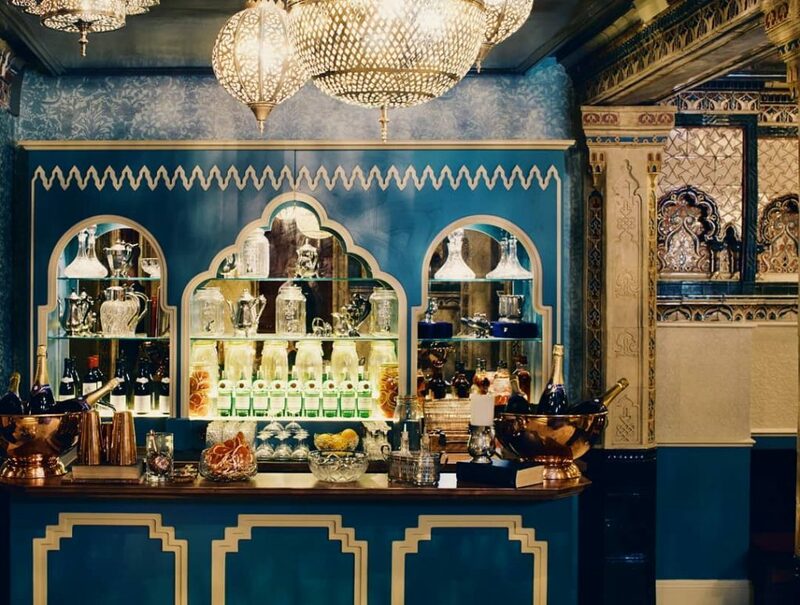 The bar – coyly named By Appointment Only – splits the cocktail menu into sections such as ‘New & Old Fashioned’, ‘Negronish’, and ‘Cups & Collins’, and every cocktail clocks in at a reasonable £10. But where Victorian Bath House gets even more tantalising is their menu of house-infused gins. Flavours range from the enticing – raspberry & mint – to the wildly inventive likes of quince & blue cheese and venison & summer truffle. Yes, venison. They really do have to be seen (and tasted) to be believed, and if you fall for a gin, you can take home a bottle for yourself. Location: 7-8 Bishopsgate, EC2M 3TJ. Nearest station is Liverpool Street. See it on Google Maps. Opening hours: 5pm-midnight (Thu to Sat), all other days are private hire only. Price: cocktails are all £10.